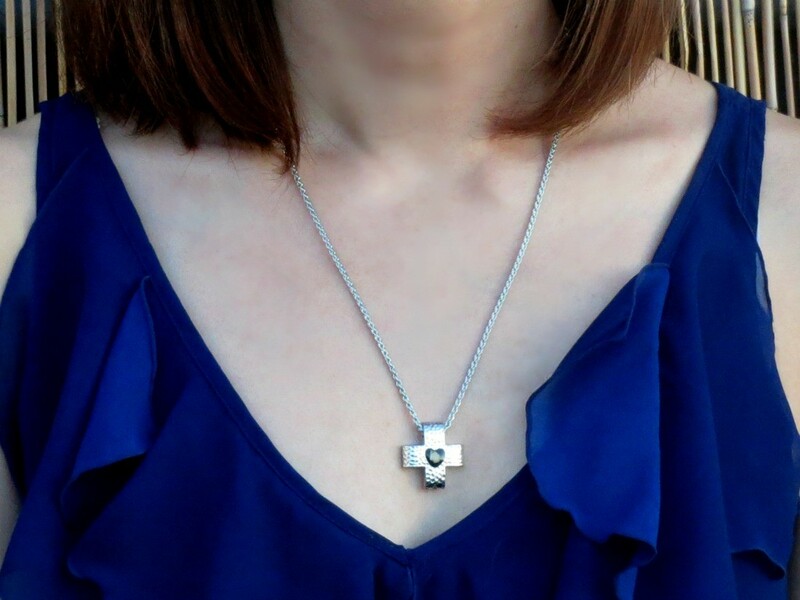 The Heart of Grace Cross is a modern cross pendant with a Nativity Stone, the only authentic stone that came only feet from the place Jesus Christ was born in the Manger Room in the Cave of the Nativity, Bethlehem. The design of a heart inside the cross symbolizes that the Love of Jesus is within our hearts, forever and ever. 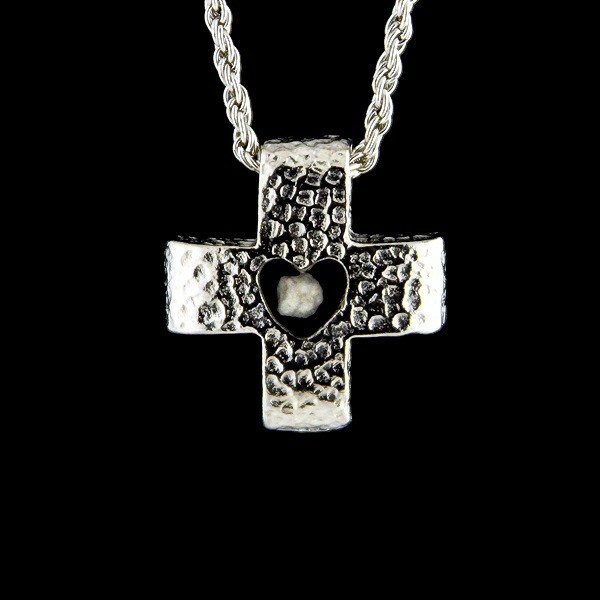 The Heart of Grace Cross is the perfect Christian gift of faith for any holy occasion for yourself, friends and family. This charming cross will serve as a memento of your faith and will be close to your heart as a contemporary piece of Christian jewelry. 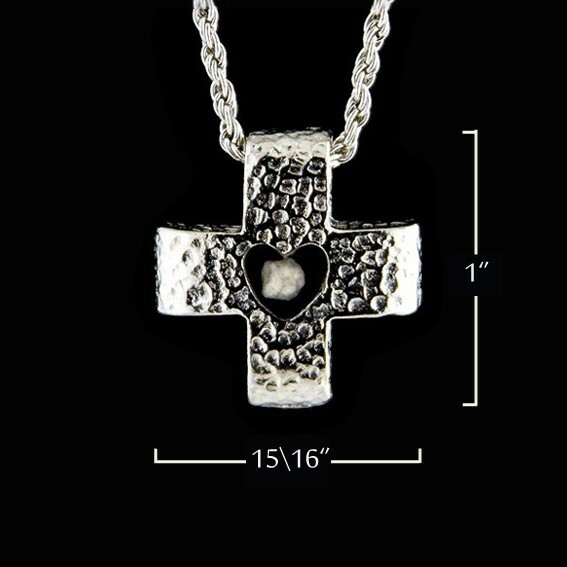 Hammered Silver Layered Cross: 1"x15/16"